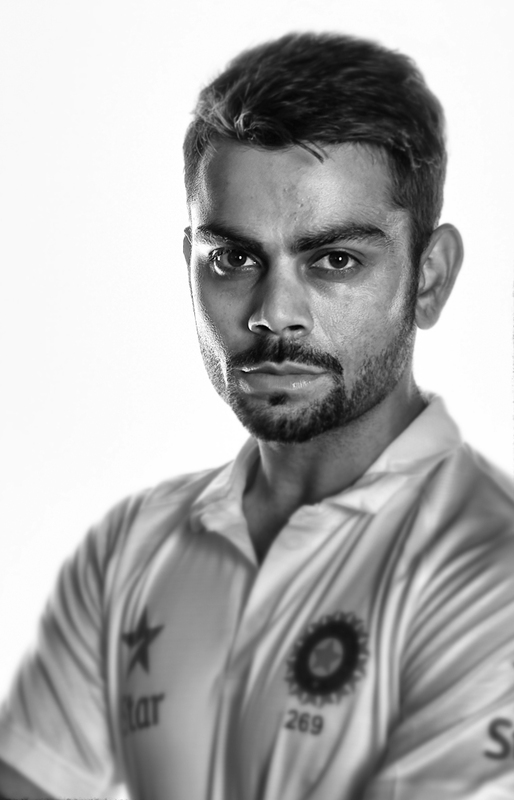 Word on the street is that this has been a below average year for Virat Kohli. He had a disastrous Test series in England and committed a crime no sportsman has ever been forgiven for: he got himself a famous, movie-star girlfriend. His side, Royal Challengers Bangalore, finished second last in the Indian Premier League, and questions were raised about his judgement outside the off stump. It has been a tough year. So, how come Kohli finished the year as the second-highest run-getter in one-day internationals and the third in Twenty20 internationals? How come he features in the top two in both the ODI and T20 batting rankings? How come he averaged nearly 60 in one-day cricket and a ridiculous 96 in T20 internationals? How come he managed to captain India in nine ODIs this year and finish it awaiting his first Test match as captain? How come he managed to slip in a Man of the Series at the World T20? Perhaps Kohli should take it as a compliment that a year like that is considered below par for him. Perhaps he should feel flattered that the expectations of him are akin to those India has had of only one cricketer before. But, there is a difference in the way we viewed Tendulkar and the way we view Kohli. We hoped for Tendulkar; we demand from Kohli. Up until the early 2000s, cricketers in India were still seen as heroes of the middle class; men from humble beginnings through whom the masses could vicariously taste success and international fame. Then came big-money endorsement deals, the IPL and its riches, fancy haircuts and flashy cars. Cricketers were not a breed of struggling athletes of whom a select few would make it. They were young, ungrateful brats making quick, easy money. 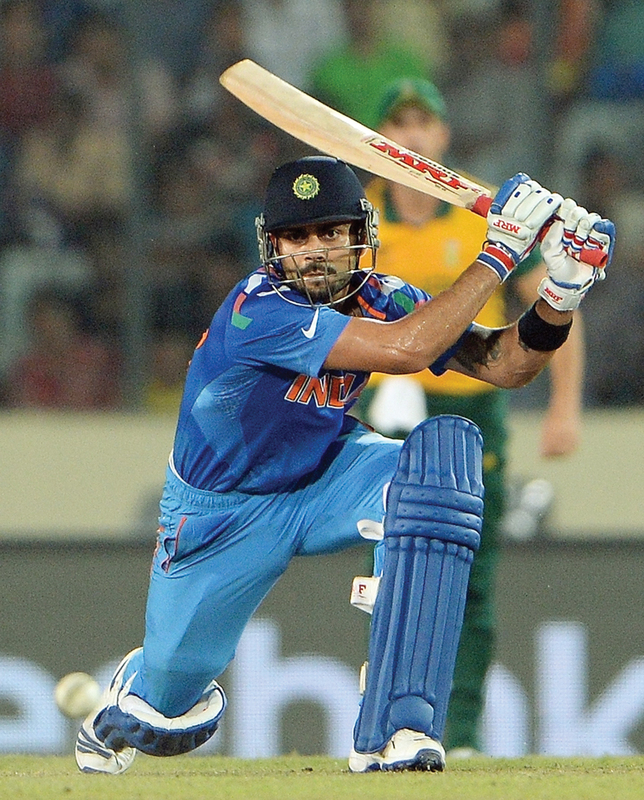 Kohli epitomised this ugly image fans painted in their minds. He got into arguments with the crowd; he cursed every time he reached a century; he had his hair ruffled by girls in advertisements. He was one of the most naturally gifted batsmen in the world. But, we grudged him this rather than appreciate it. We claimed a divine right to a portion of his talent and declared it his duty to wield it the way we see fit. Perhaps, we were waiting for Kohli to fail. So, this year, when he had one bad series — one in which, by the way, almost no one in the Indian team did well — we fixated on it. We forgot that just a few months before, he had almost single-handedly taken us to a World T20 final and nearly ended up winning it. We glossed over his four one-day centuries in the year. an over with just three wickets remaining. For Kohli, it was just another day at the office. A lot of Indian batsmen have said similar things before. But, with Kohli, you tend to genuinely believe him. He may not yet have found the self-assuredness he displays in shorter formats in Test cricket, but no one would bet against him finding it soon. Perhaps it is the very arrogance we have grown to despise that gives Kohli the confidence we all want to see from Indian cricketers. When he is at the crease, no matter what the situation, no matter the amount of pressure, he believes he can win the game. And, watching him, we start to believe it too.